RECOMMENDED: Can’t be bothered leaving the main island? You can still make a great day out with a visit to one of these fantastic Hong Kong neighbourhoods. 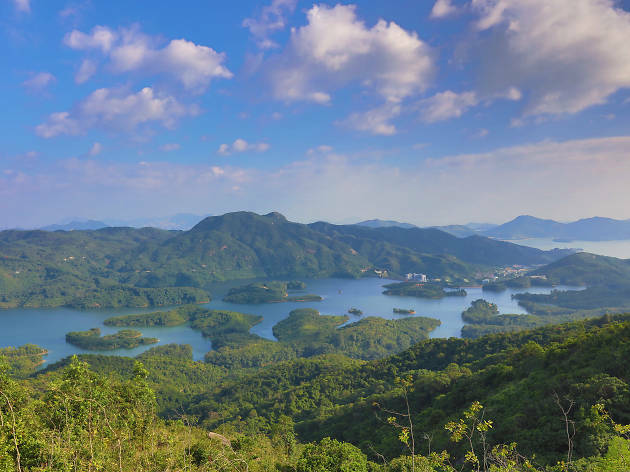 Smack dab in the centre of the idyllic Sai Kung Peninsula, Sai Kung Town is a laidback neighbourhood with scores of interesting shops, restaurants and bars, and a cool floating seafood market to boot. 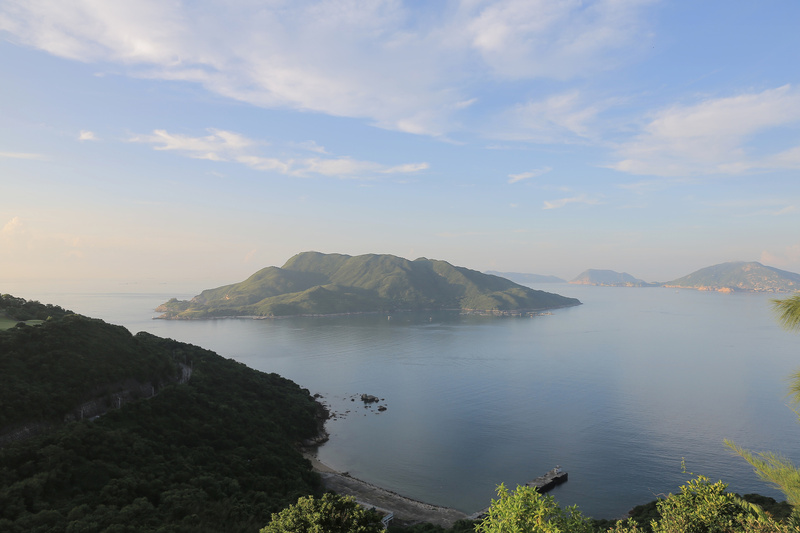 Its pier and transport links also make it the perfect jumping-off point for boat trips to volcanic rock-studded islets in the Hong Kong Geopark, pristine sandy beaches like Sharp Island and Tai Long Wan, or surrounding country parks and hiking trails. 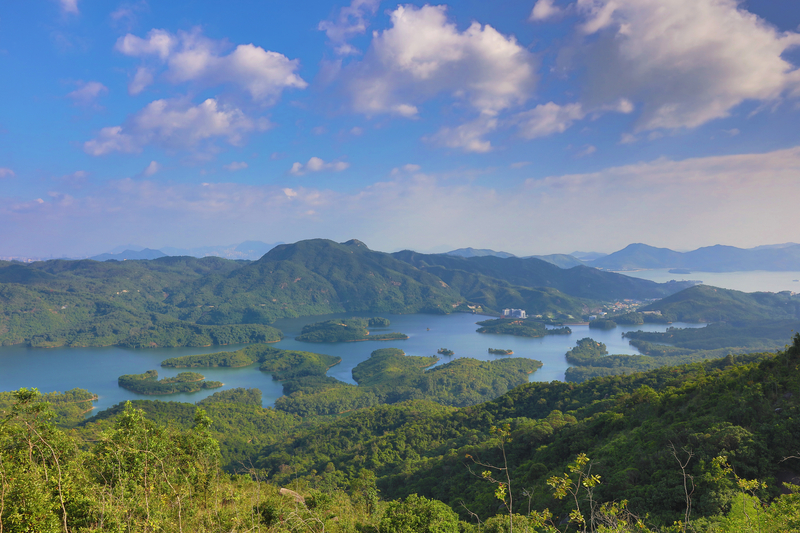 While not directly accessible via MTR, Sai Kung is around a 45-minute minibus ride away from Hang Hau or Choi Hung stations, and around one hour away from Mong Kok by minibus. Sai Kung’s first Michelin-starred restaurant remains popular among locals for its elevated Cantonese food. Specialties include salt and pepper abalone, spicy crispy-skinned chicken, and clams in XO sauce. For a memorable group activity, head to Tikitiki Bowling Bar to sip on tropical cocktails while (very mildly) exerting yourself on the neon-lit bowling alleys. 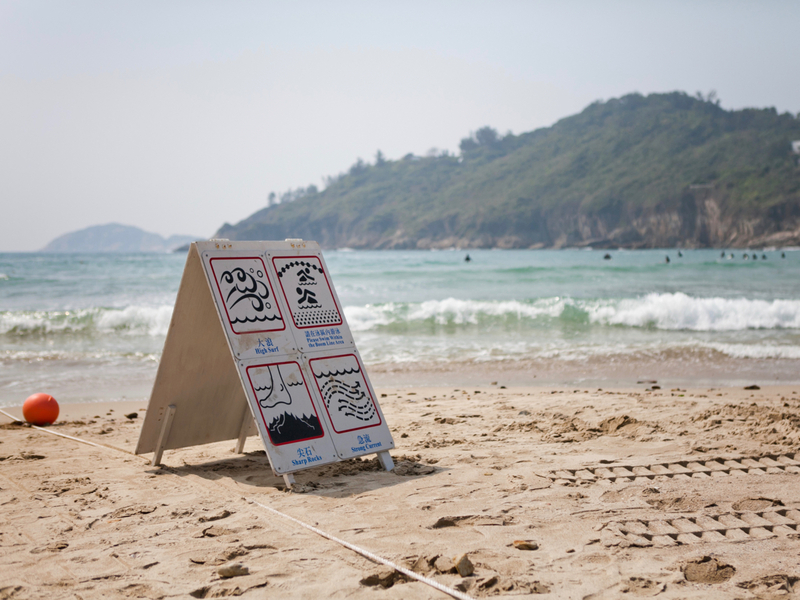 Less than 45 minutes on the number 7 minibus will get you to Hoi Ha Wan, a protected marine park where you can marvel at more than 60 types of hard coral and 120 species of coral fish. Top off the experience by renting a kayak and snorkelling gear from local stores to explore the beautifully clear waters (but remember to be careful with the marine life!). Camp at Astropark, a 1,200sq m star-gazing facility in the Chong Hing Water Sports Centre at High Island Reservoir. 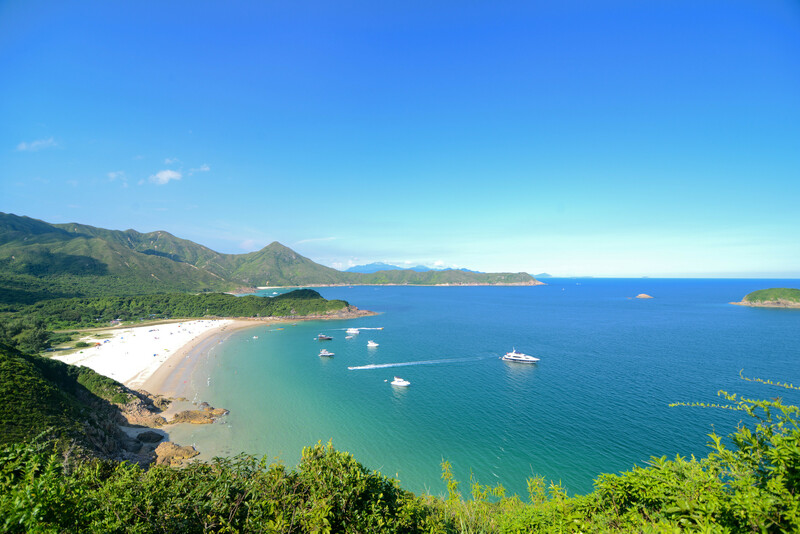 While it is relatively remote, the centre provides a shuttle bus from Sai Kung Tang Shiu Kin Sports Ground for campers who book in advance. Eat a pineapple bun – or better yet, a buttered pineapple bun – from the famous Sai Kung Cafe and Bakery. Hong Kong screen legend Chow Yun-fat is said to be a fan, which is a glowing endorsement if we’ve ever heard one. 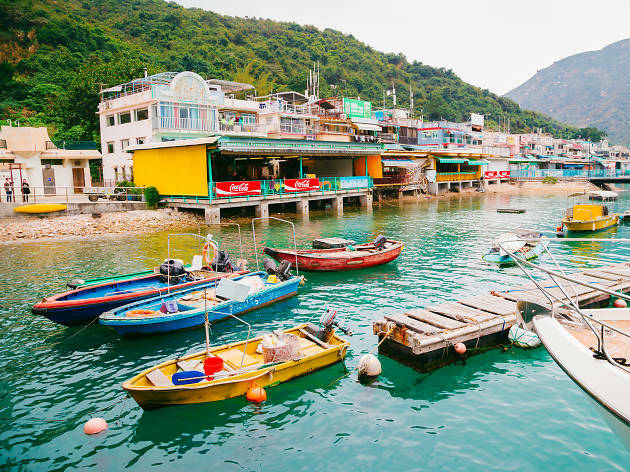 Famed for its annual bun-climbing festival, giant fishballs, and being the hometown of windsurfing Olympian Lee Lai-shan, it’s no wonder that this former fishing village is one of Hong Kong’s most popular outlying islands. Just a short ferry ride away from Central (30-55 minutes, depending on which boat you catch), this vehicle-free island is highly walkable and teeming with Taoist temples, dried seafood shops and snack stands. 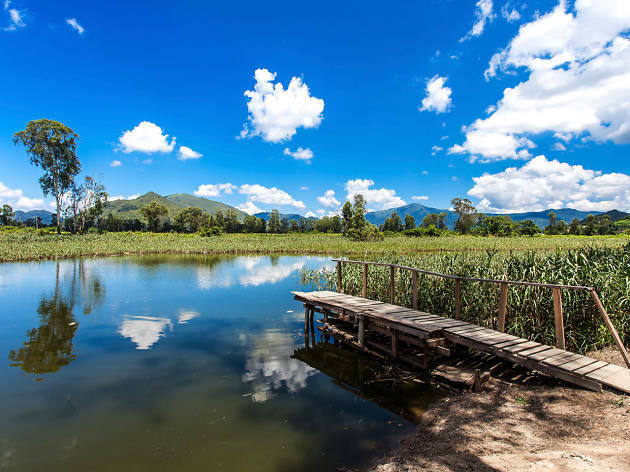 Artsy types are sure to enjoy the surprisingly high concentration of indie lifestyle stores, while families can amble or cycle along easy walking trails like the Mini Great Wall (we’d avoid the Cheung Po Tsai pirate cave though, which is a lot less interesting than the name suggests). 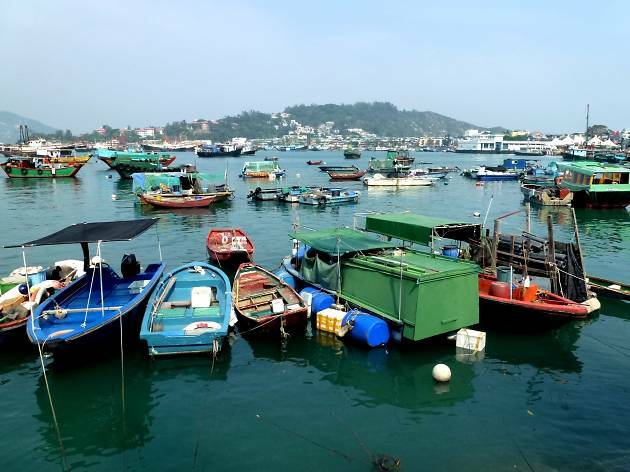 True to its roots as a fishing community, Cheung Chau has no shortage of options when it comes to seafood. An old favourite among locals and tourists alike is So Bor Kee, which serves fresh seafood cooked in the style of Cantonese and Hunan cuisine. Hing Kee Beach Store might look like your regular beachside café-store hybrid, but there’s more to this modest shack than meets the eye. Besides serving tasty home-cooked food, Hing Kee also boasts a decent craft beer selection from local breweries such as Gweilo, Heroes, and Kowloon Bay. Check out the lovely design-led lifestyle stores tucked away in Cheung Chau’s alleys for everything from vintage clothing to handmade silver jewellery. We particularly like Myarts for its carefully sourced knickknacks from local and international artists. Split across three buildings – two of which are a stone’s throw from the main pier – B&B Cheung Chau has rooms catering to couples, families, and backpackers. If you fancy commemorating the trip, the B&B even has a creative workshop where you can design a trinket to hang on the nearby Love Lock Wall. Eat a skewer of giant Cheung Chau fishballs from a local snack stall (Gan Yong Tai is the most famous one, but any will do). As Hong Kong’s third largest island and one of the most popular weekend destinations for daytrippers, there was no way we’d forget to mention Lamma. 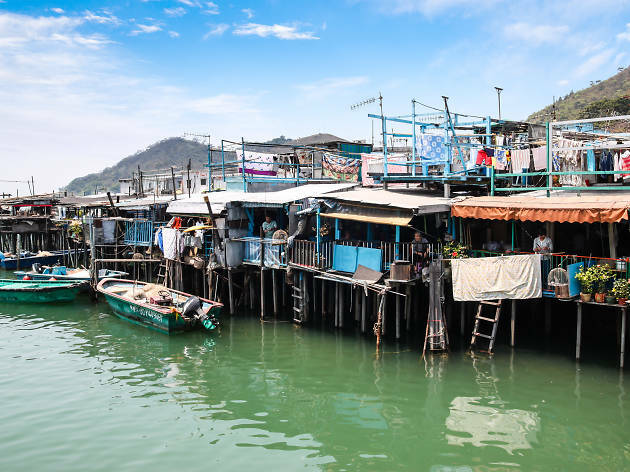 Over the years, Lamma’s reputation for picturesque views, slow-paced island living, safety, and friendly residents (yes, we’re counting the dogs) has attracted many a city slicker to settle down on its sandy shores. Who can blame them, when all that is just 25 minutes away from Central by ferry? 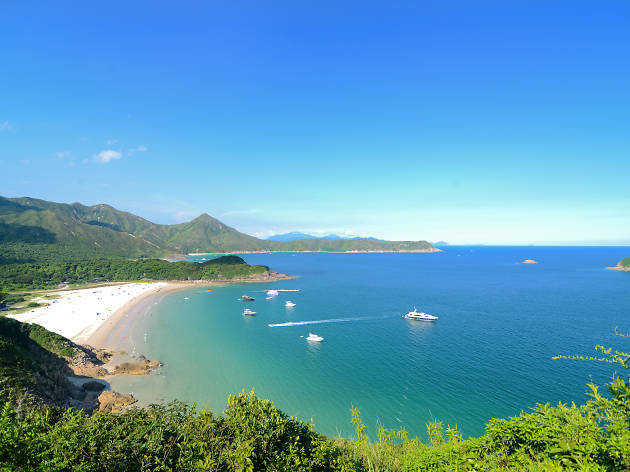 For those of us who prefer to have the best of both worlds however, we’re comforted by the fact that we can fit a brunch, leisurely hike along the island, afternoon pint and one of those famous Lamma seafood dinners into one compact trip. Tucked away just off the main street on Lamma Island, Lala Mama's a cafe that serves up everything from all-day breakfast and vegetarian food to delicious homemade desserts. Rustic and homely complete with wooden furniture and shelves lined with bars and ceramics. You can’t go wrong with a good local pub. With its ice-cold beers, perennially friendly staff, and spacious terrace overlooking the water, Blue Goose Tavern always hits the spot. Sink your teeth into a good book – and an even better veggie burger – at one of Hong Kong’s O.G. organic restaurants, Bookworm Cafe. This cosy secondhand bookshop-and-restaurant specialises in casual vegetarian and vegan Western fare. For a no-frills but dependable stay, Concerto Inn offers clean rooms with large balconies overlooking Hung Shing Yeh Beach. While it isn’t a five-star resort, the service is welcoming and the location is unbeatable. Eat at one of Lamma Island’s famous waterfront seafood restaurants in Sok Kwu Wan. We love Rainbow Seafood, which will sate your appetite and provide free ferry trips to and from Lamma. 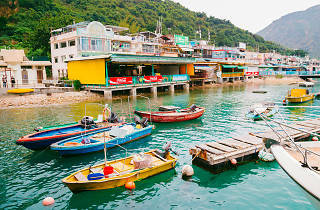 Often called the 'Venice of Hong Kong', Tai O is a fishing village and the only major stilt settlement left in Hong Kong. Located on the northern tip of Lantau Island, it’s famous for its dried seafood, locally made shrimp paste, salt pans, as well as being one of the most picturesque places in Hong Kong. This tiny village has been inhabited by the Tanka 'boat-people' for more than 200 years. While walking past pans of fish drying on the pavement, you can picture the Hong Kong of yesteryear – a humble fishing port which gave our modern city its name. 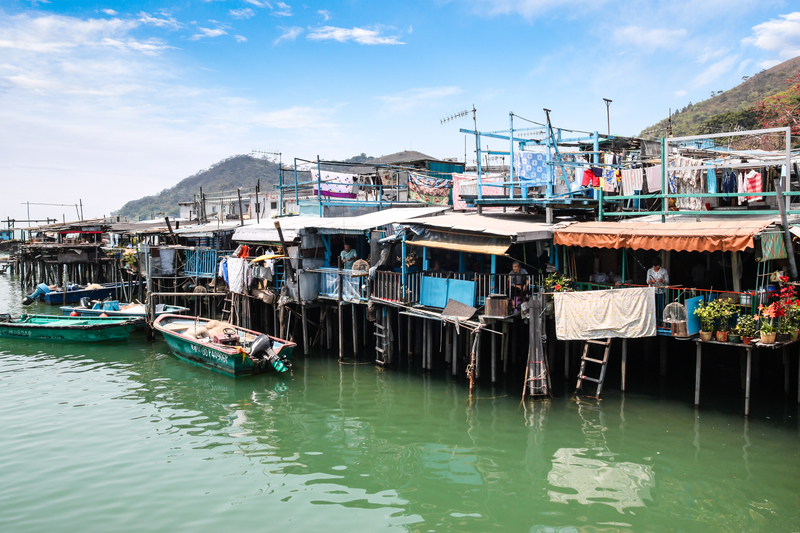 Easily reached by bus from Tung Chung, Tai O’s famed stilt houses are best seen from motor boats that tour the area for about HK$25 (although don’t hold out hope for pink dolphins – you’re much more likely to spot them with Dolphinwatch). One of the village’s most famous snacks is its sugar-dusted Chinese-style donuts, which are served fresh from the deep-fryer at the beloved Tai O Bakery. Tai O’s best café is Solo, where you can wash down some delicate homemade cakes with a cup of smooth, smooth coffee (which you can opt to have spiked with liquor). The best part, however, is Solo’s cute little terrace, where you can sit and watch people and boats go by. Bliss. Take the easy 30-minute hike to see Man Cheung Po, aka the stunning waterfall and manmade 'infinity pool' that everyone and their mum visited in the summer of 2014. We don’t recommend swimming in it though, no matter how tempting it looks – it’s a source of fresh water. 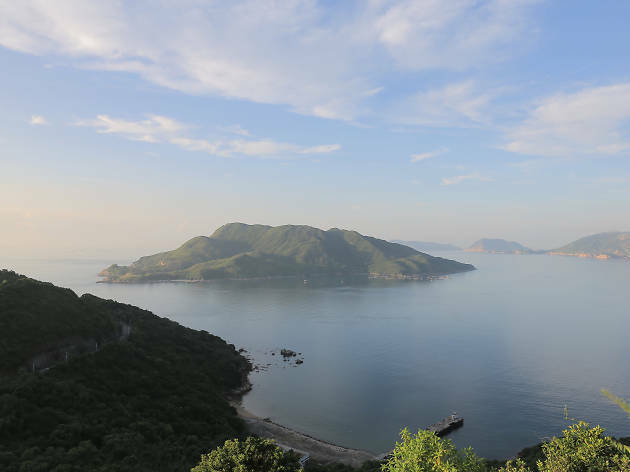 This is a no-brainer – take the opportunity to stay at the former police station-turned Tai O Heritage Hotel, a Grade II protected historical building equipped with luxury hotel suites, a glass-roofed restaurant and five-star amenities. Enjoy a romantic meal at Tai O Lookout. The glass-roofed colonial-era-inspired dining establishment dishes up comfort foods from around the world: think pastas, Singaporean fried rice and the special crispy fried pork-chop bun sandwich. 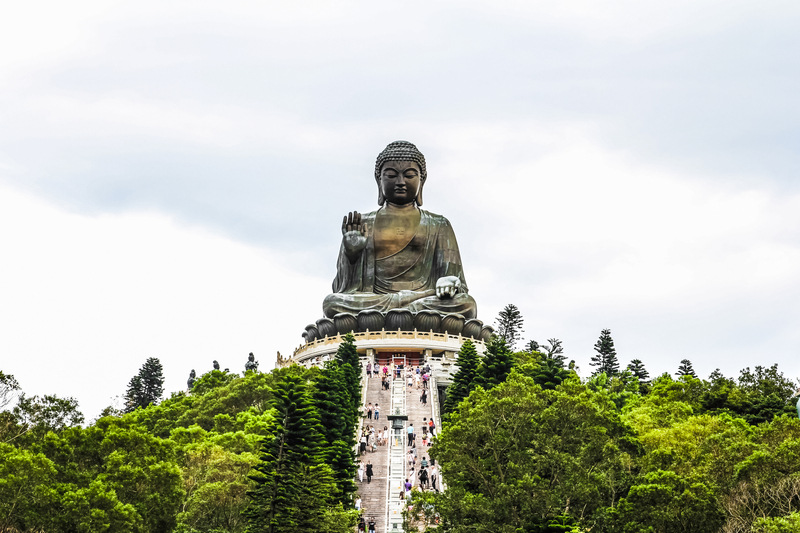 Whether you’re religious or not, visiting Ngong Ping is a great one-day excursion for both visitors and tourists alike. 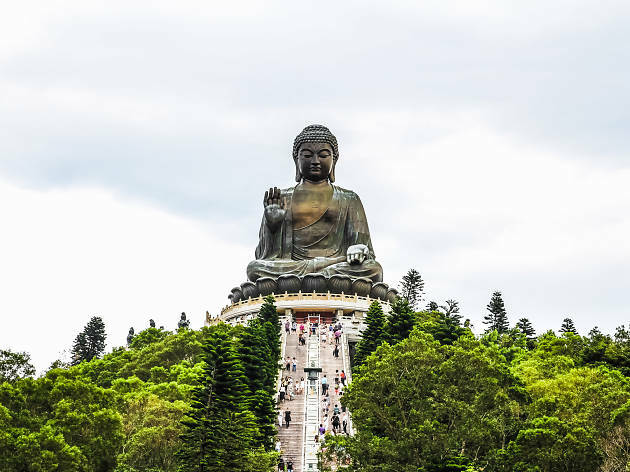 This highland on the western part of Lantau Island is best known for the iconic Tian Tan Buddha statue which is 34m tall and can be seen a mile away, as well as the neighbouring Po Lin Monastery and its lush green surroundings. Though these popular tourist attractions can now be reached by cable car (including a glass-bottomed one for the brave or extravagant among us) from Tung Chung, a cheaper and still very scenic method of transport is the good old bus. How often can you say you’ve eaten at a monastery? (Monks need not answer.) Fill up on cheap and cheerful vegetarian food at Po Lin Monastery’s onsite restaurant where prices are low but portions are large, just the way we like it. Given that it’s a site of worship, alcohol isn’t exactly readily available around these parts. Instead, slake your thirst with a cup of blooming flower tea at the touristy but charming Linong Tea House. Walk down the Wisdom Path, where 38 wooden monuments engraved with the sacred Heart Sutra prayer have been installed in an infinity pattern. If climbing all the stairs up to the Big Buddha made you want to flop down on a comfortable bed and nap immediately, then you’re in luck. Located just 10 minutes away, the YHA Ngong Ping SG Davis Youth Hostel offers a 'hassle-free camping package', which includes a boho-chic bell tent for up to six campers, bedding, lighting, Bluetooth speakers, and WiFi. Visit the Big Buddha, of course. Do be careful going up the 200-odd steps to the top though, especially in the summer heat. 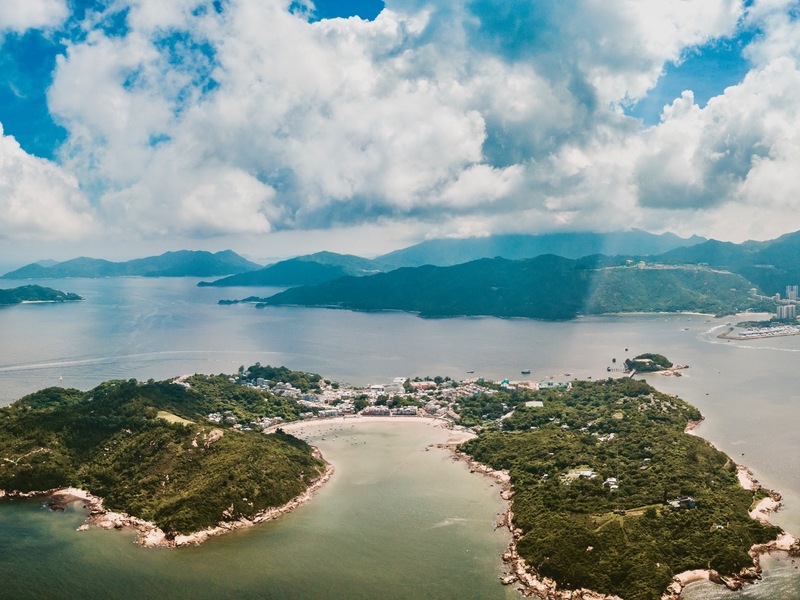 A half-hour ferry ride away from Central Pier 6 lies Peng Chau, one of Hong Kong’s most charming outer islands and somewhere well off the beaten tourist track. With scenic treks, ancient relics, traditional temples, strong community vibes and no cars in sight, stepping ashore on this tranquil island feels like travelling back in time to old Hong Kong. Peng Chau’s Kee Sum Café is famous for making possibly the best shrimp toast in all Hong Kong. Instead of deep frying the toast with an entire shrimp on top, the way most cha chaan tengs do, the chef does it the good old-fashioned way, making a purée of freshly-caught shrimps and layering a secret sauce on top. Opens only on Saturdays and Sundays, this small shop is a treasure trove of local handicrafts and vintage collectables. Sun Sat also doubles as a café offering a simple menu of coffee and tea with a table made from parts of an old sewing machine in the alfresco area. Though it’s a small peak, Finger Hill takes you to the island’s main vantage point where you can take in panoramic views of Lamma Island, Discovery Bay and the Southside. Get your timing right and you can even watch the sunset from the comfort of the pavilion. The former leather factory and a Grade III cultural monument site that has been revitalised and turned into an artsy junkyard that doubles up as an Airbnb spot and an antique shop. The sculptures and decorations there change every month. Order the steamed shrimp with glutinous rice, and the milky fish soup served with fried tofu, shrimp paste and sprouts at seafood restaurant Faai Che Cha Chaan Teng. Or buy your own seafood from the wet market and have it cooked for only $100 extra.